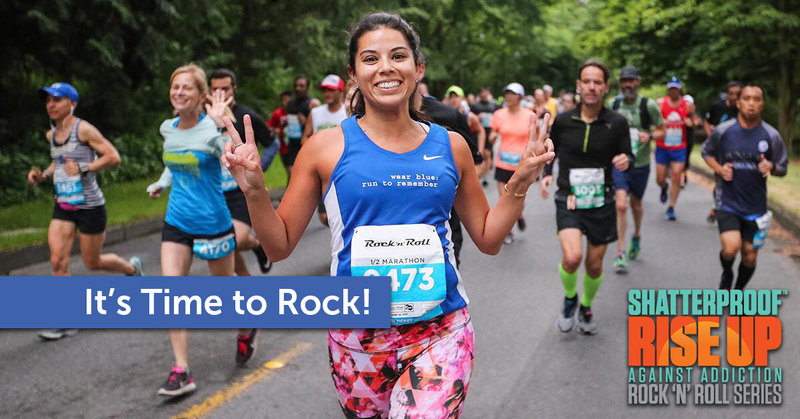 Join Shatterproof, along with our new partner, the Rock ‘n’ Roll Marathon Series, in Los Angeles on Sunday, October 28, 2018. Runners from across the LA area will unite to support those who’ve lost a loved one to addiction and celebrate those who are living in recovery today. You can participate as an individual or with a team. Distances: Half Marathon and 5K. Fundraising support: Shatterproof will help you every step of the way, through easy-to-use fundraising tools, practical tips, and guidance from your personal Relationship Manager. Fundraising goodies: When you raise $500, you’ll receive free entry and a Shatterproof Dri-fit t-shirt. And when you reach $1000, you'll also get a Shatterproof Top Fundraiser jacket. Will you join us? Through the years, Rock ‘n’ Roll Los Angeles has become known as the World’s Largest Halloween Half Marathon, as thousands of runners hit the streets of Downtown LA in Halloween costumes. Join us in Los Angeles in 2018 for our series-wide celebration of 21 Years Running! Why get involved? Every dollar raised helps Shatterproof advocate for policy change, educate the public to end the stigma associated with addiction, and provide trusted, evidence-based resources for families.